Paul outlines in magnificent detail the Christian’s armour in the “Day Of Trouble.” The armour of Ephesians 6 is not for occasional use – during an enemy attack.. it is the life-long uniform of a believer in this world of suffering and sin. The battle in which Christian’s are engaged is a life-long – 24/7 onslaught. The strategies and wiles of the enemy seek to unnerve and unseat the believer, but our spiritual amour, combined with one final weapon, is a winning combination. Most prayers of the saints are ineffective – never reaching a peripheral target. The majority of our intercession is impotent – falling short of the desired mark. 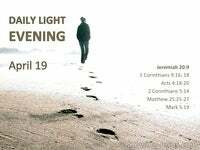 One reason for powerless prayer is not applying 1John 1 9 – by first confessing sins. One reason for impotent prayer is not getting into fellowship via confession to God. This is not a man-made confession with a rosary or other unbiblical customs. This is not man-made repentance in a little confessional box – to a man. 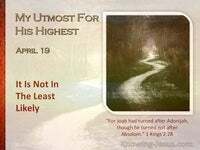 Christians are instructed to go boldly to the throne of grace in time of need. 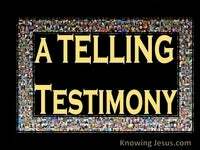 The veil of the Temple was rent from top to bottom giving access to the Father. What an amazing privilege we have as believers to petition the throne of heaven – but God wants all His children to stay in fellowship by admitting their sins to Him. Another reason for ineffectual prayers, is a self-arrogance – so deep-set within us all. This is a proud reliance upon self, instead of humble dependence upon the Father. Self-reliance excludes Christ-reliance – and God only sees us as in the Beloved. 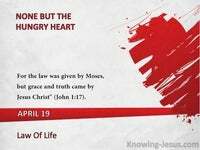 When we think our good works give us access to God, we deny the blood of Christ. 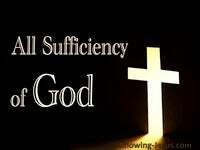 If you have even one doubt about the provision of God, you are in this category. If you have a question-mark over the promises of God, this applies to you, too. If you doubt God’s love or question your security in Christ, you deny His cross.. for these are wrong perceptions of Christ’s finished work on the Cross – this is an incorrect understanding of all God’s attributes – His justice and love. A third reason for unanswered prayer combines the above two – i.e. asking amiss. These are prayers offered for ones own end, rather than Gods purpose – or His Way. If you examine any prayer in scripture – you will see this vital principle in play. 1) We must be in FELLOWSHIP with God if prayers are to be effective and this is simply outlined in 1 John 1 9 – and is as easy as the A.B.C. 2) We must be PROPERLY CLAD IN the Lord – as outlined in Ephesians 6 every single piece of amour is the Lord Jesus – we are to be under His covering. 3) We must PRAY ARIGHT as outlined by James (and others) We are to ask in faith – trusting God at His Word – believing what He says. yet ye ask, and receive not, because ye ask amiss Jam.4:3 This isn’t rocket science, but simply set-out in scripture for all desiring to live godly. Effective praying needs a right relationship with God. Effective prayer to the Father is covered by Christ. Effective prayer to God will be guided by the Spirit. 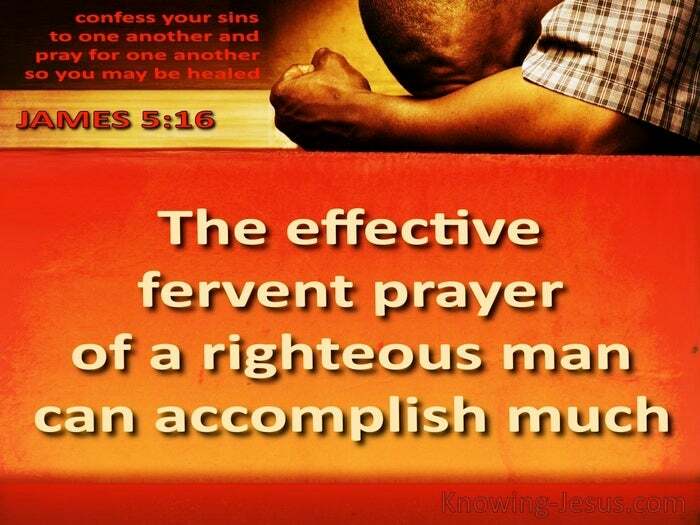 The effective prayer of the righteous is potent, powerful and will accomplish much. If prayers are ineffective the defect is not in God. If prayers are ineffective the reason lies within you or me, but never with God. If prayers are ineffective we need to carefully examine ourselves in all the above. If prayers are ineffective it may mean your timing is not in line with God’s! Revelation 8 shows us the time that all-prayer will reach their ultimate fulfilment. Ephesians 6 shows us the how to pray effectively in this fierce battle. 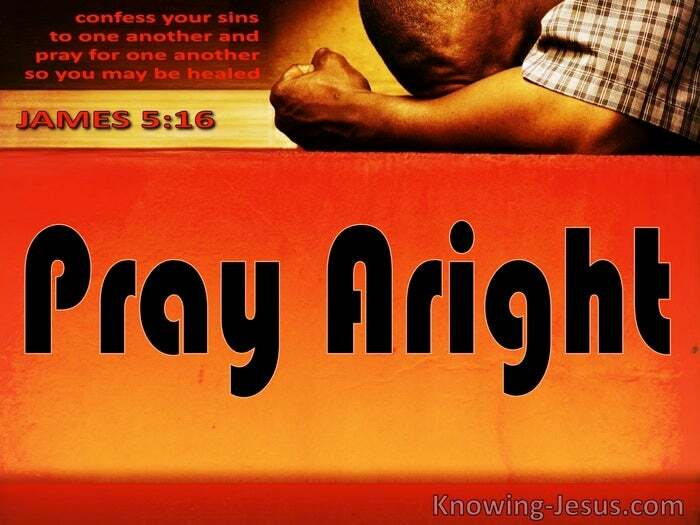 James 5 shoes that effective prayer accomplishes much. 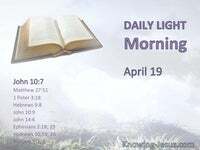 I John 1 9 brings us into right relationship with the Father. So how are we to pray aright? – Praying -at all times , on every occasion, in every season – continuously.. Praying in spirit – in the power of the Holy Spirit.. Praying with all manner of prayer and entreaty.. Praying to that end that we keep alert and watchful.. Praying with strong purpose; patience endurance – perseverance. Praying and interceding- in behalf of all the saints. Praying – Always – With – All Prayer – and Supplication – in the Spirit.